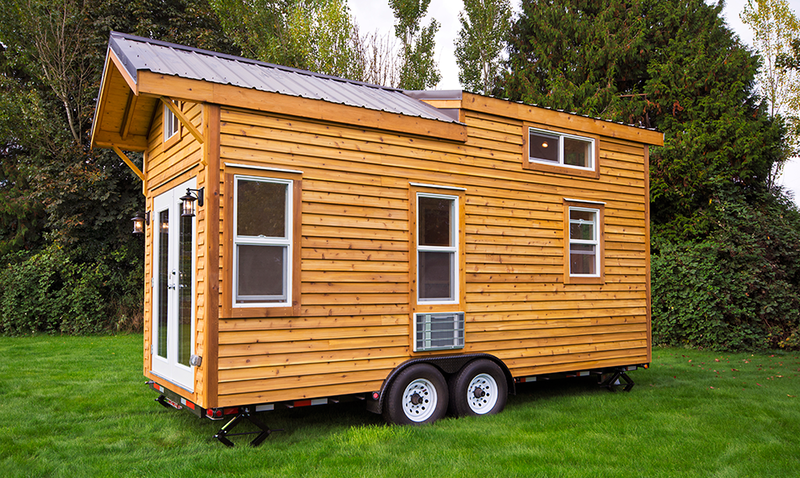 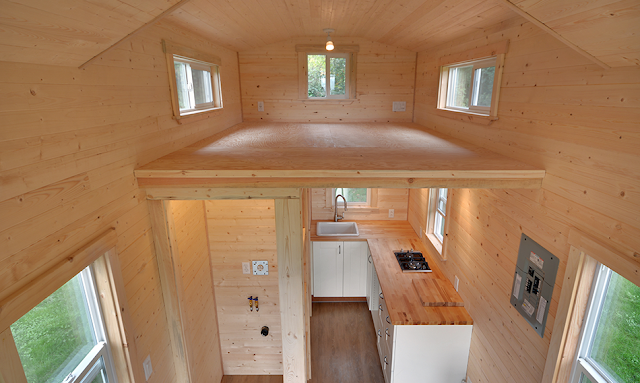 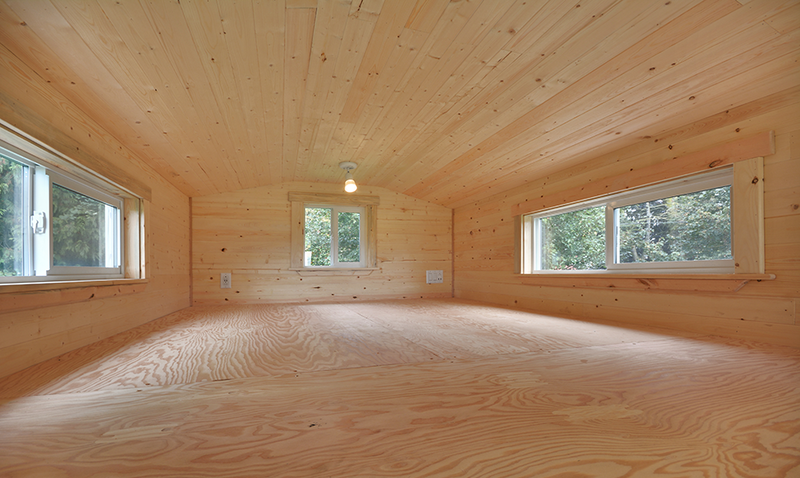 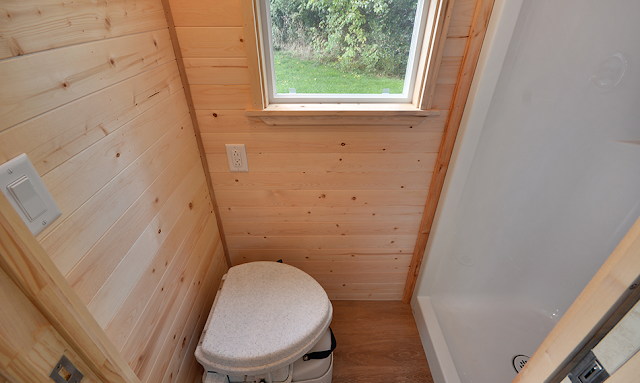 A cabin to go, by the Mint Tiny House Company (formerly Tiny Living Homes). 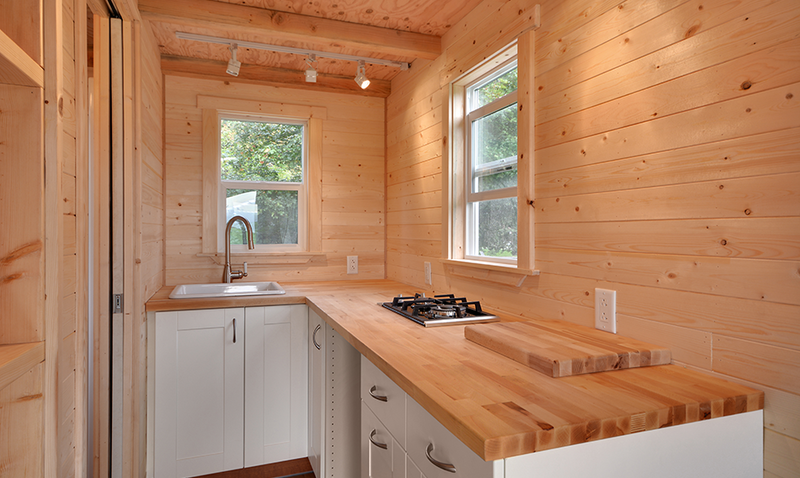 Called the Napa Edition, this ceder tiny house is made in Delta, British Columbia. 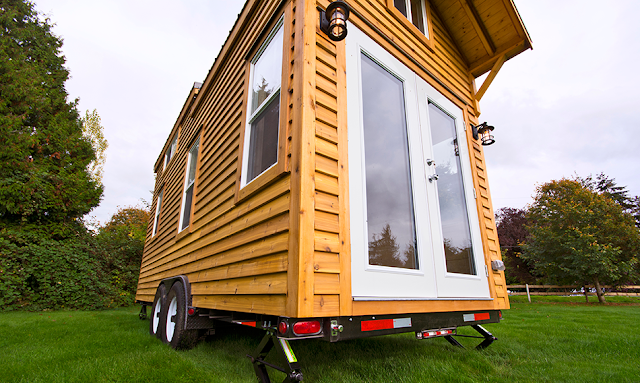 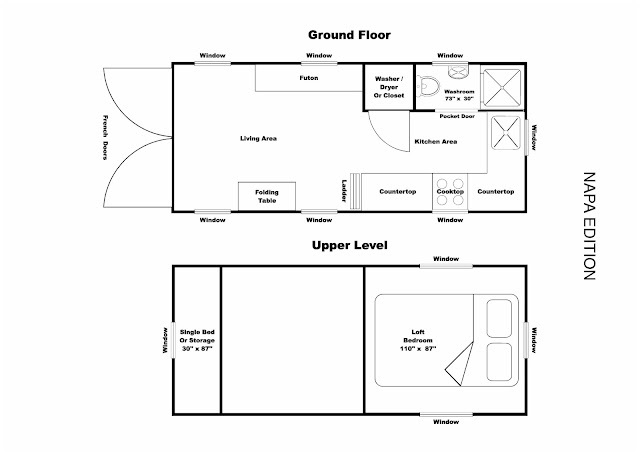 Measuring 172 sq ft, the home is built onto a custom-made trailer and is perfectly mobile. 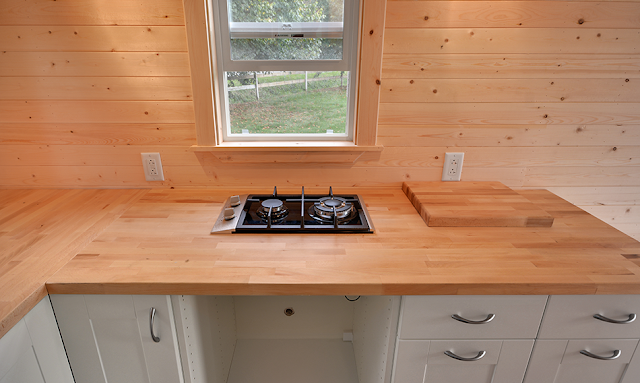 The home's kitchen features a 24" countertop, a lazy Susan, a stainless-steel sink and plenty of shelving. 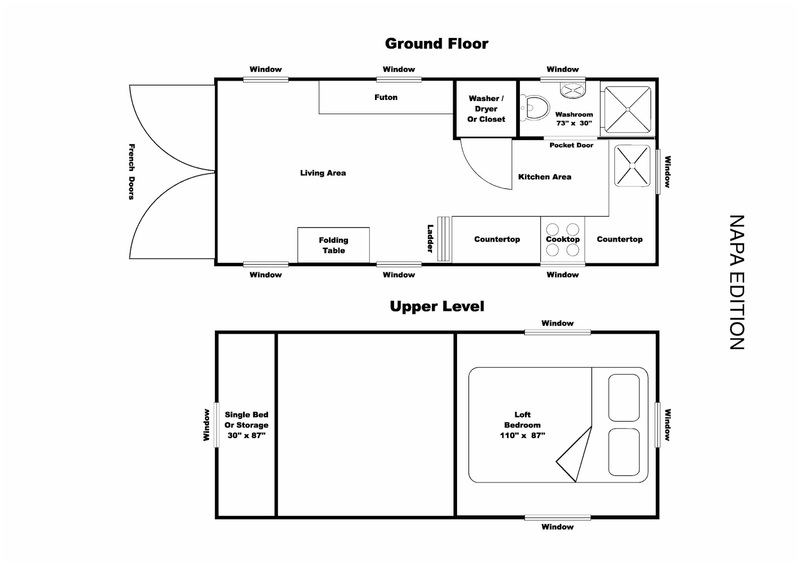 In the living room you'll find a fold-down table to eat and/or work at, in addition to a 28" x 30" closet. The Napa also has two lofts: one as a bedroom and another for storage. 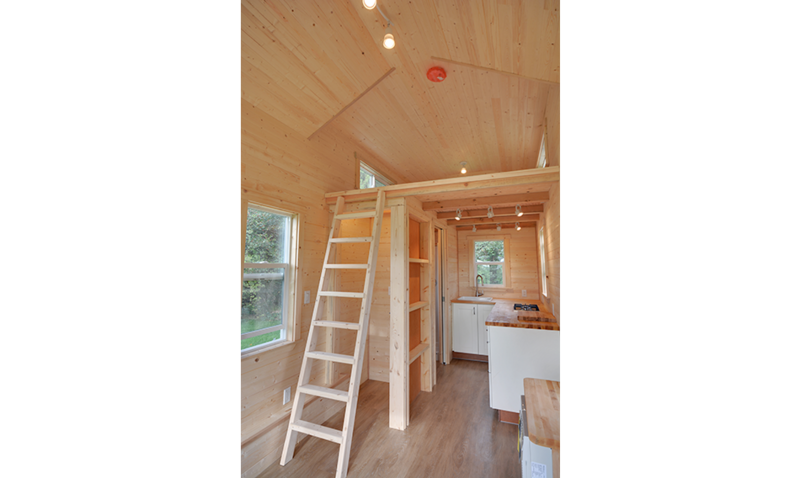 Both are accessible by a movable ladder.